In the last few years I have visited Russia twice and I can say that I have seen quite a lot of the west part of Russia. But just like everyone can see on a world map, Russia is quite a large country. There is so much more to see than just the west. Reason enough to go back in a couple of years. You knows, maybe I will board the Trans-Siberian Express train finally? 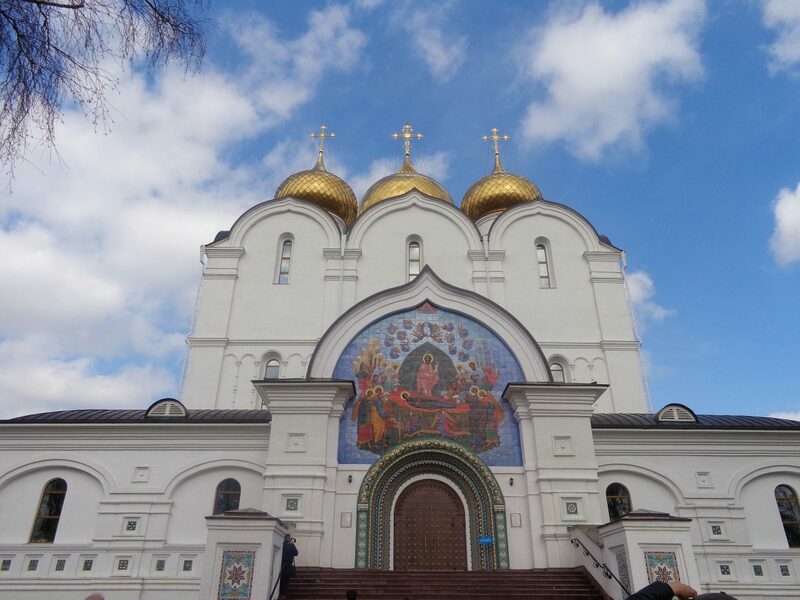 Today I will tell you more about my travel experiences in Russia. Grab a cup of tea or coffee, because this is going to be a long read. Hopefully it will help future travelers with their planning of trip to Russia. We start off with a list of favorites. 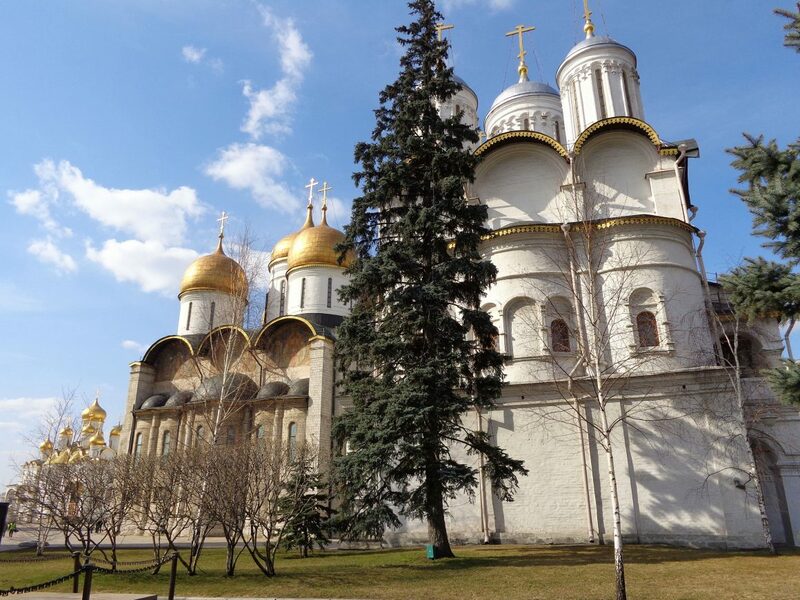 Obviously, every Russian city has its own unique charme and story, but a couple of cities made a special impression on me. Please note that I am still talking about the western part of the country. Hopefully I will visit Central and Eastern Russia in the next few years and I am sure I will have a couple of additions then to this list. But for now here is my top three cities in Western Russia. The absolute number 1 on the list is Saint Petersburg. When I walked around in this city, I instantly got the feeling of Vienna of Venice rather than Russia. The founder of this city, tsar Peter the Great, had been inspired during the construction by the European architecture. The city was supposed to the ‘window to the West’. And you could say that Saint Petersburg is still functioning as a window, because more and more international tourists are ‘taking a peek’ inside Russia thanks to the 72-hours free visa regime for cruise ship tourists docking in Saint Petersburg. 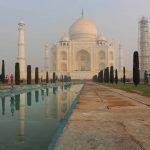 I visited the city in 2014 and I was blown away. 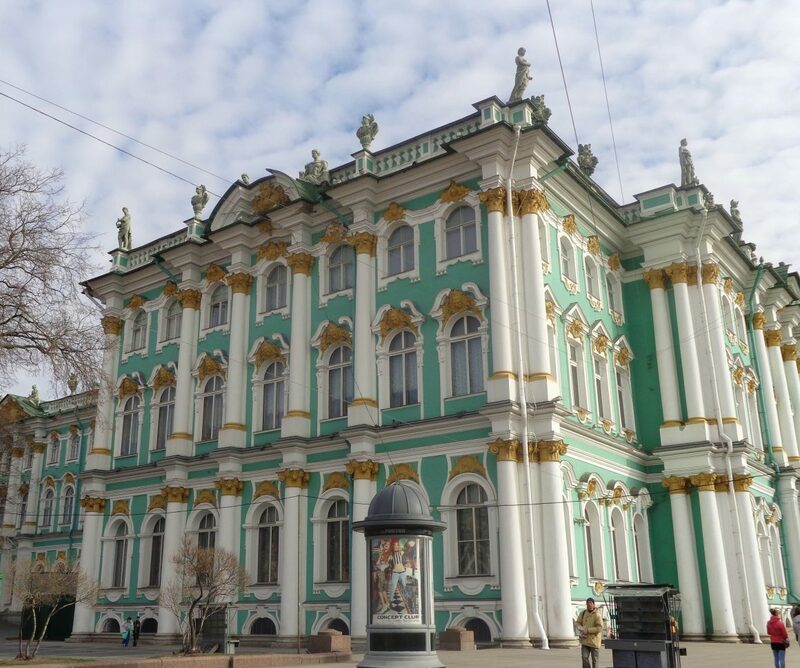 The mint green Hermitage, the colorful chapels of the Church of the Savior on the Blood: Saint Petersburg is a feast for the eye. If you had to choose one Russian city for a citytrip, then I would say always choose Saint Petersburg. This city has my heart. Also read: Moscow vs. Saint Petersburg, battle of the cities. Maybe you would have expected Moscow here, but Kazan is my number 2 of favorite cities in Russia. I visited Kazan in 2017 and despite the icy temperatures I really enjoyed this city. 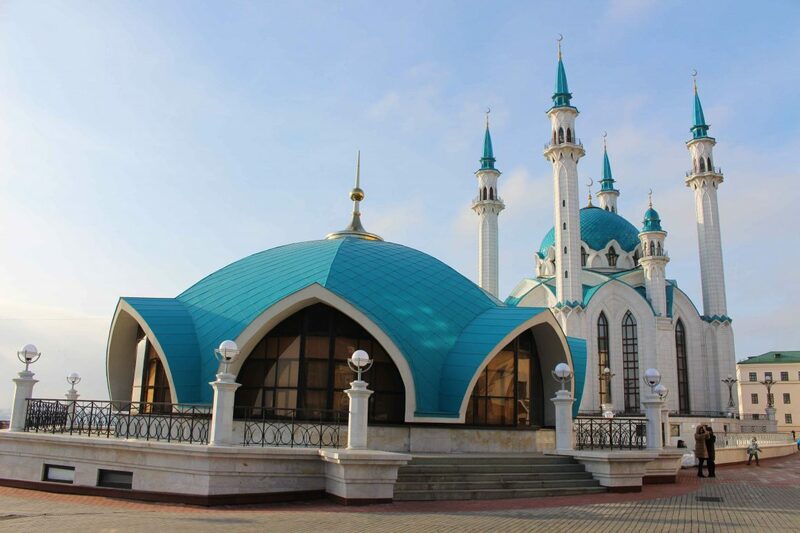 Kazan is the capital of the autonomous republic of Tatarstan (inside Russia) and that means that you see an interesting mix of Russians, Tatars and other nationalities. Also the architecture is an interesting mix of churches and mosques with the Qolsärif mosque and the Temple of All Religions as absolute favorites. Moreover, I was positively surprised by the amount of English information on street signs and in public transportation. Truly unique in Russia! 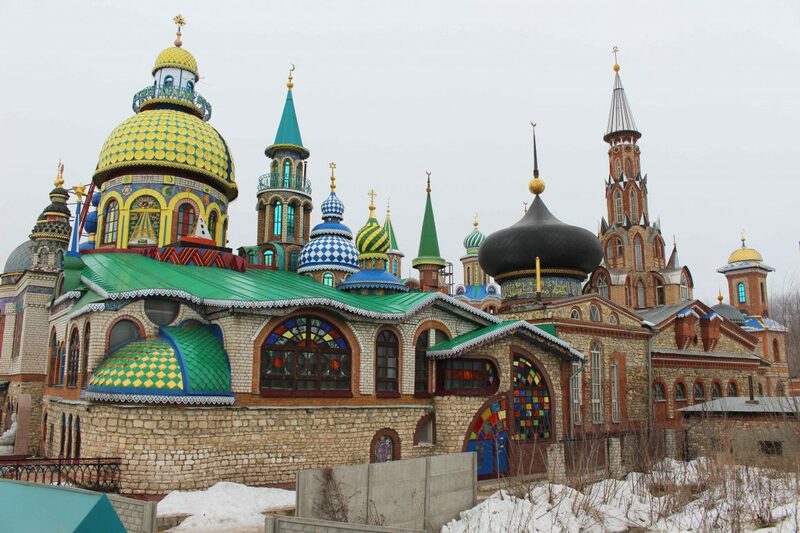 Also read: Meet Tatarstan, why you should visit the city of Kazan. There he is: Moscow. Not at number 1, and this has partly to do with the fact that Moscow is a mega city. It is the largest city in Europe and that means that wandering from one sight to the other is just not possible. The distances are too big. What struck me the most was the massive traffic problem. On the main roads there is a constant traffic jam. Luckily you can easily avoid using the roads, because Moscow has an efficient underground metro system. A metro ride is not only cheap and efficient, it is also a tourist attraction. The metro stations are almost art pieces, built for the Soviet workers in the fifties. To get to the world famous Red Square, exit at metro stop Teatralnaya or Revolutsiya. 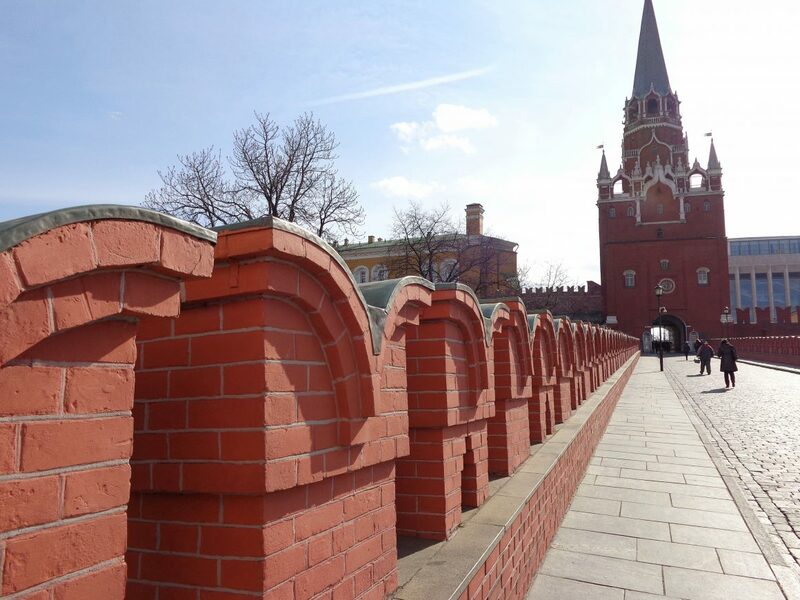 Did you know that the Red Square was originally called beautiful square? The Russian word for beautiful and red looks quite similar. 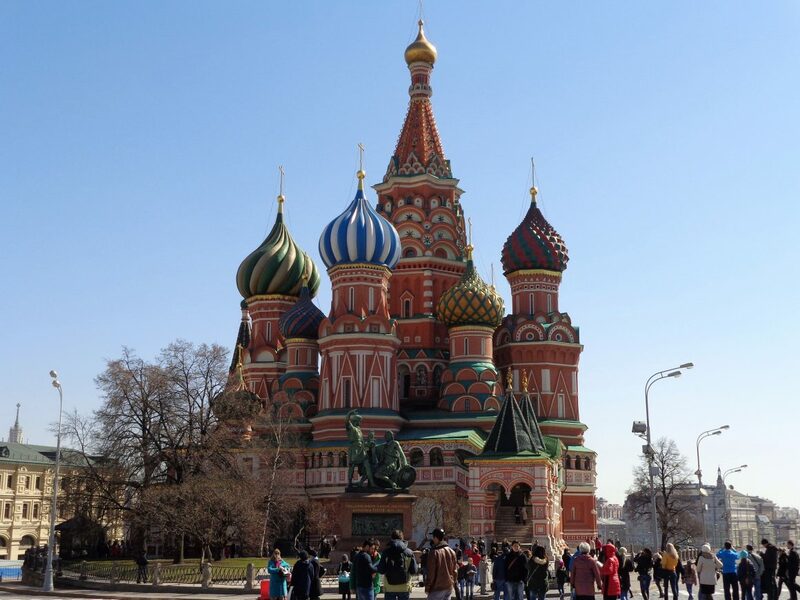 Fact number 2: a lot of people think that the Saint Basil´s cathedral is the Kremlin. Wrong, the Kremlin is a fort (not a church) and you can find Kremlin in a lot of Russian cities. Also read: Moscow and her underground palaces. 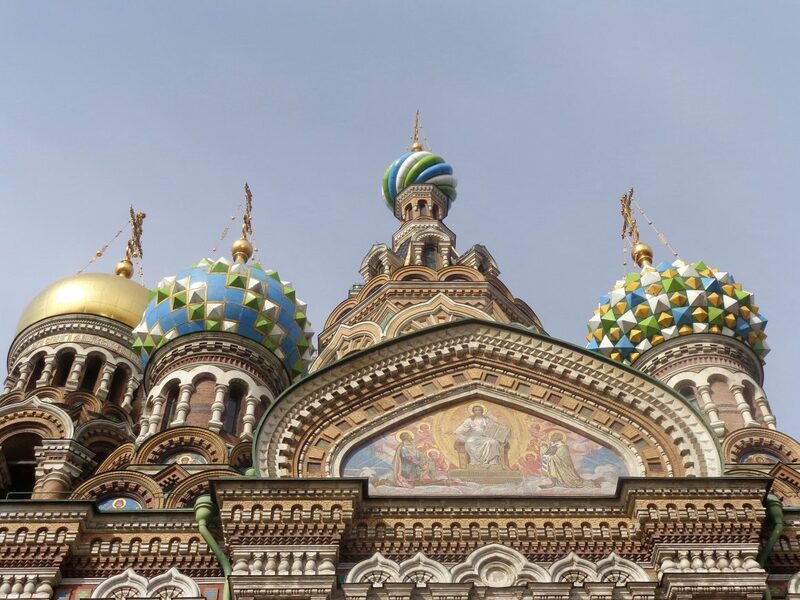 While most travelers only visit Moscow or Saint Petersburg or both, there are actually more itineraries possible. Here are my travel itineraries and possible combinations. 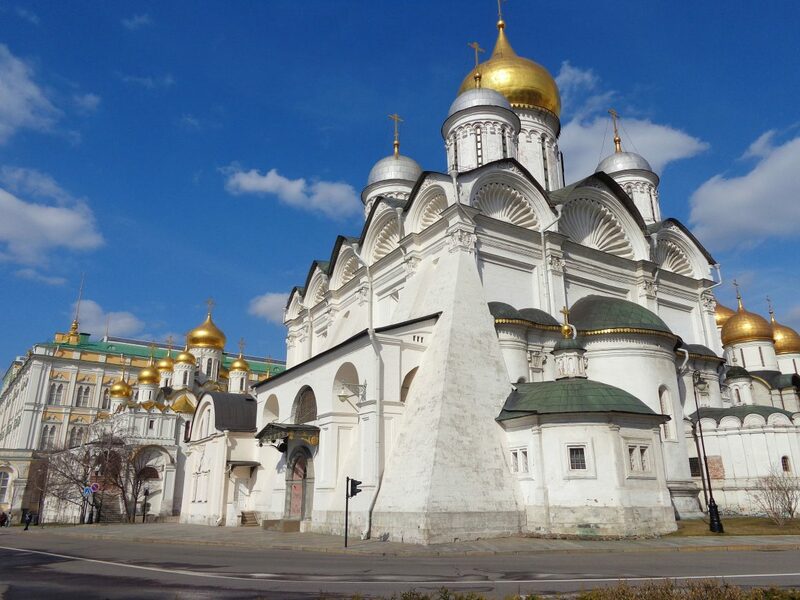 Combine Moscow with the cities of the Golden Ring and experience the contrasts within Russia. 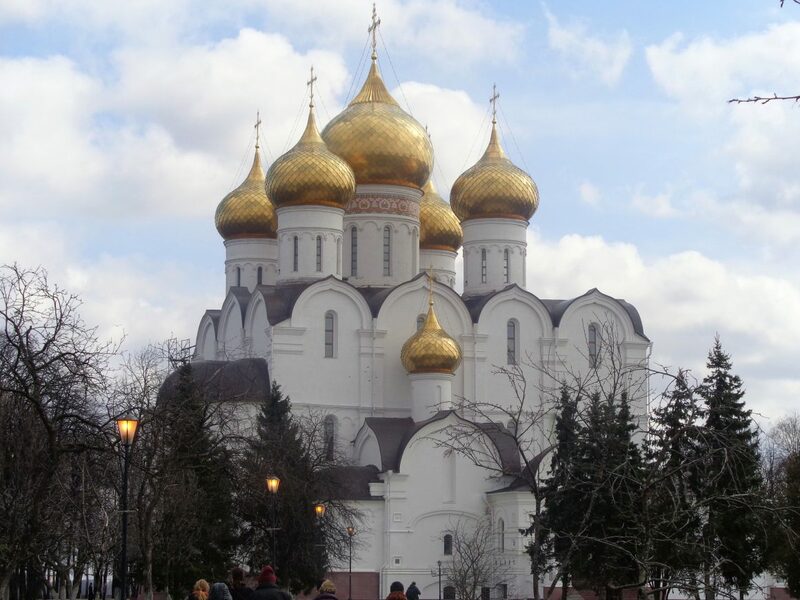 The Golden Ring is a name of a collection of twenty small towns and villages in a radius of 250 kilometer from Moscow. Every single one of these cities used to be important medieval towns. 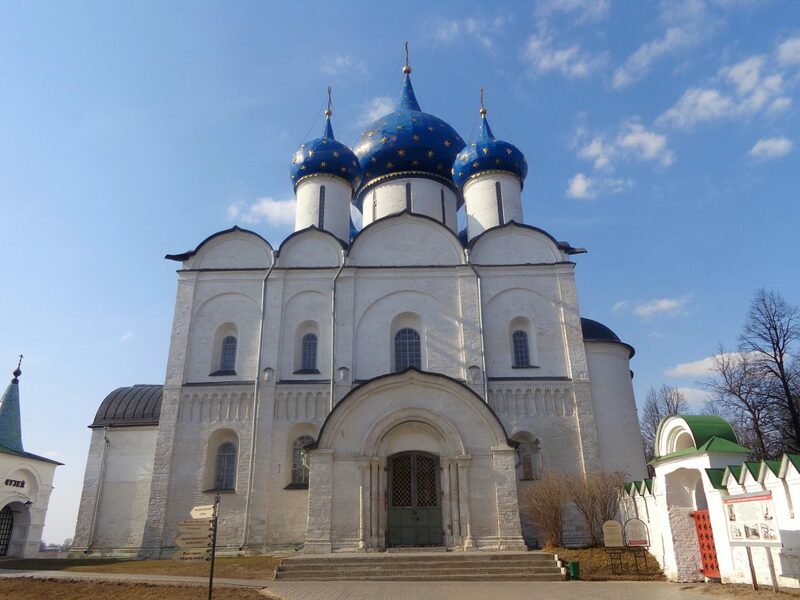 During our trip in 2014 we visited three of these cities: Suzdal, Yaroslavl and Kostroma. 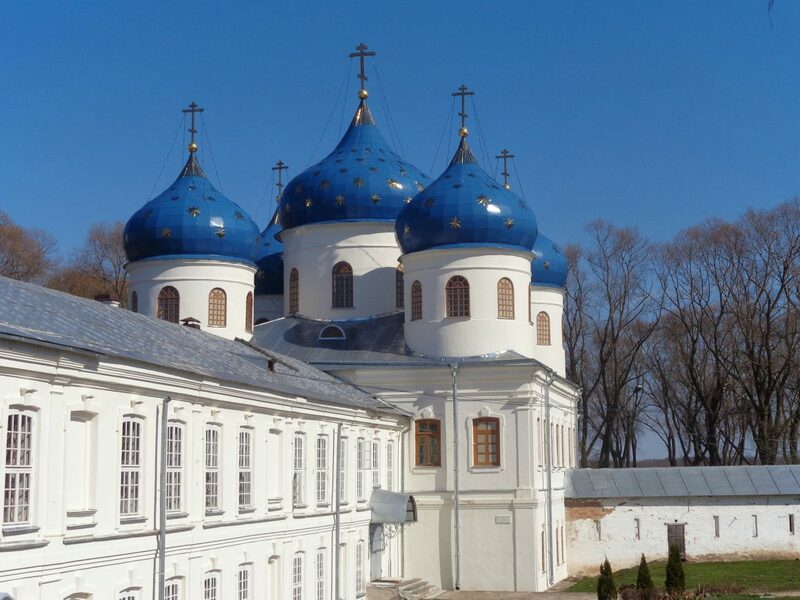 I especially liked Suzdal, because of its compact size and abundance of churches. 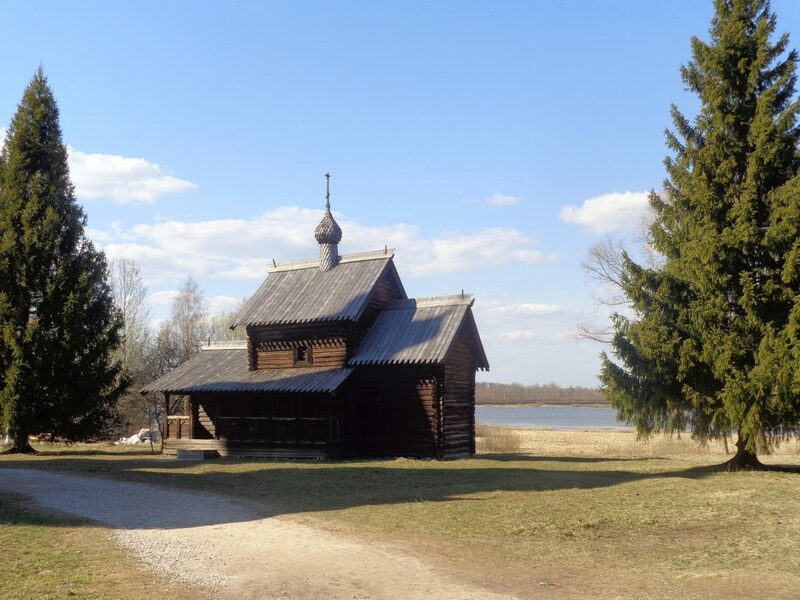 Did you choose Saint Petersburg over Moscow and you still want to see the country side? No worries, also Saint Petersburg has its own ring of historical cities and villages. They are collected under the name ‘Silver Ring’. Though this ring does not contain as much cities as the one around Moscow, these places are in fact older than the cities of the Golden Ring. One of these cities is Veliky Novgorod which was the political center of Russia in the 9th century. 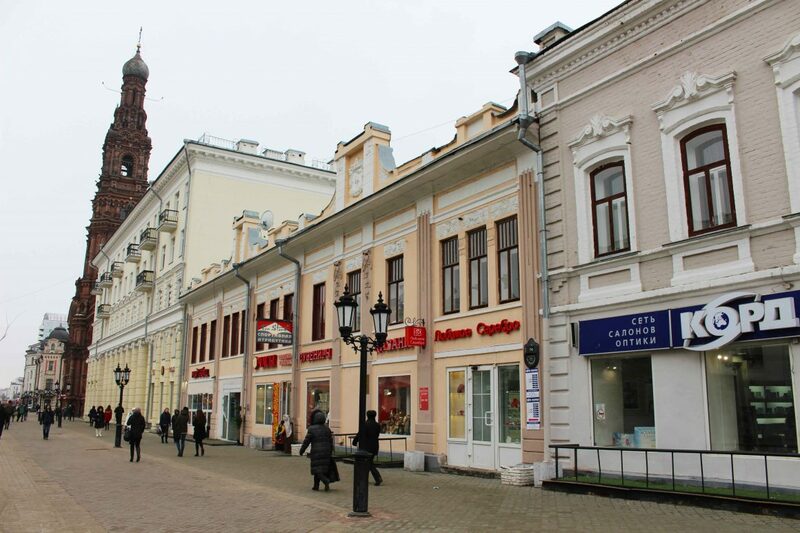 A bus drive to Veliky Novgorod takes four hours, so if you visit this town it is best to stay for a night. 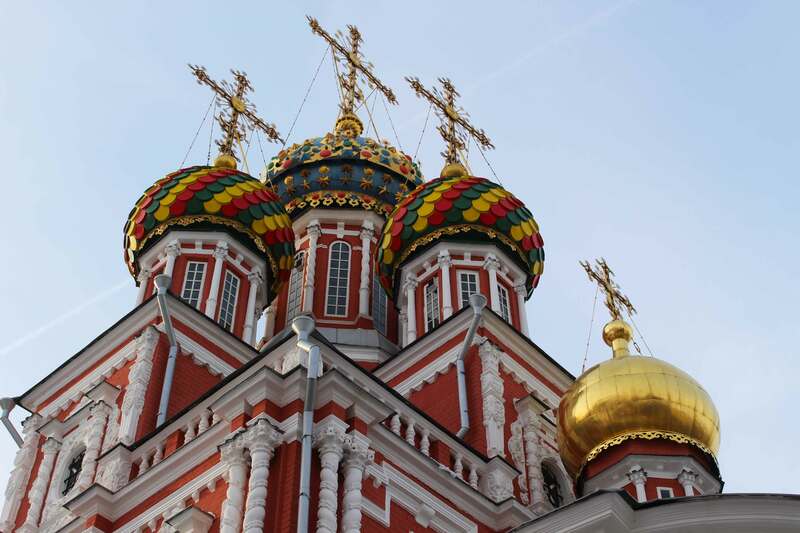 Have you already seen Moscow and Saint Petersburg and do you want to discover other large Russian city? In 2017 I went to Kazan and Nizhny Novgorod and I loved it there. Both cities are easy to go to by train, especially Nizhny Novgorod is only a 3,5 hours speed train ride (train name: Stizh) away from Moscow. 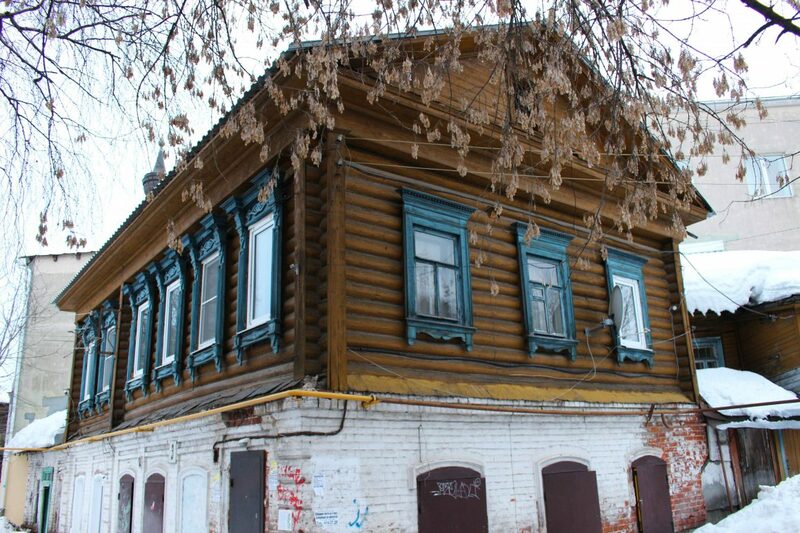 Nizhny Novgorod has an interesting history as it was closed-off for foreigners for 32 years during the Soviet Union. Since 1991 everyone can visit this city again. Kazan is a bit further away (12 hours train ride from Moscow), but it is worth it. Multicultural and easy-going Kazan is such an interesting city. Moreover, I read that Russia is working on new high-speed train from Moscow to Kazan. Russian trains are great: the Russian train system runs almost without any problem. Trains always run on time and are hardly effected by bad weather or snow. I bought my train tickets online via the website of Russian Railways. This is possible for railroads with electronic tickets. The website is available in English and you can pay with credit card. This website is also useful when you just want to check the train schedule. Please note that big cities as Moscow and Saint Petersburg has a various main stations. In Moscow the main ones are Belorusskaya station (towards Eastern Europe), Leningradsky station (towards Saint Petersburg and northwest Russia) and Kazanksy station (towards Central Asia). In Saint Petersburg the most important one is Moskovsky Station. 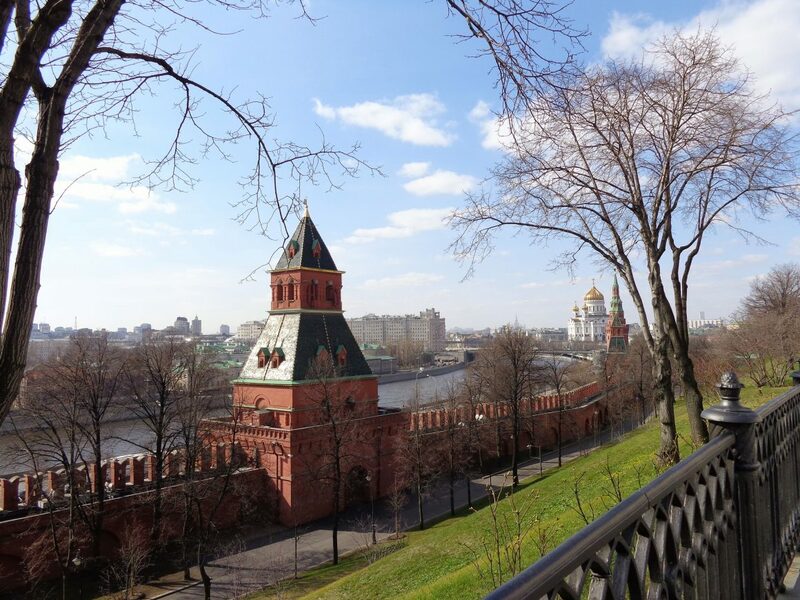 Start in time with your visa application: for most trips to Russia you need a visa and since this process takes quite some time, you can better start in time. Let’s stay three weeks ahead of your trip. I applied for both trips for a tourist visa. It is not difficult, you just need to be prepared. This is what you need for a visa application in the Netherlands: a letter of invitation (can be arranged through a hotel in Russia, travel agency or visa service agency), a filled out and signed online visa application form and a declaration of your health insurance stating that medical expenses in Russia are covered. Together with a color passport photo and your passport (valid for a minimal of 6 months) you hand over your application at the Russian Visa Application Center in The Hague. In most cases after one week you can collect your passport and visa again at the Visa Center. Extra tip: please note that during the holiday season the processing time will take longer. I applied just before Christmas and it took more than two weeks to get my passport with visa back. Learn a few Russian words before you go: do not expect that Russians speak English or that street signs will also be shown in English. Not the case my friend. Almost everything is in Cyrillic. Therefore I recommend studying the Cyrillic alphabet, so that you can recognize the letters. Also it does not hurt to learn a couple of standard words like’ good day’ (Добрый день, dobry den), ‘Thank you’ (Спасибо, spasiba) and ‘how much does it cost?’ (сколько это стоит?, skolka ete stoyit?). Pelmeni, small dough parcels filled with meat or potatoes. Pelmeni is often served with a smetana (sour cream). Pierogi or Vareniki, half-moon-shaped dumplings that can be filled a diversity of things: potato, mushrooms, chees, cabbage or sweet cherries. The savory versions are often served with smetana. Blini, a thin small pancake covered with meat, cabbage, mushrooms or sweet condensed milk. Especially the last one is my personal favorite! Is Russia safe? My answer: yes. Both time I visited Russia I never had an unsafe feeling. Just like in every country you have to stay alert. For example, put your backpack in front of you when you stand in a busy metro. This way you can control your valuables and avoid being pickpocketed. Also be careful when you cross the road, because crosswalks and red light are sometime ignored. Would you want to visit Russia? Disclaimer: this post is based on my travel experience in Russia. Obviously you could have a completely different experience and that is okay. Everyone experiences a destination in his or her own way and some will love it and others will hate it. If you have any useful tips for future Russia travelers, please let it know in the comments. Russia is the largest country in the world and offers a wide variety of landscapes, cities and cultures. From bustling metropolises to the vast plains in Eastern Russia. I visited Russia in 2014 and 2017 and visited several cities around Moscow and Saint Petersburg.